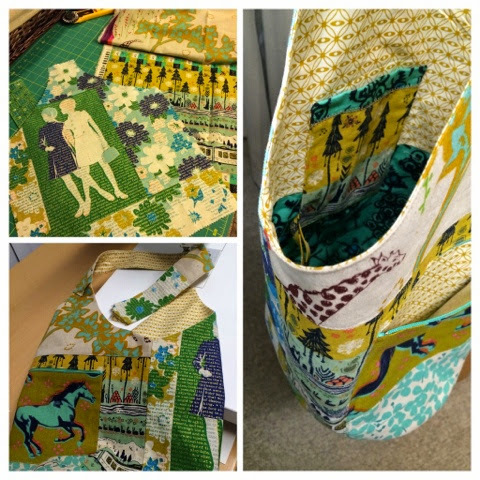 The sewing drought is over and when it rains it pours. 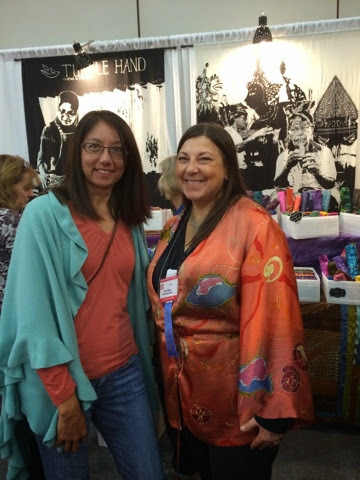 I jumped off the sidelines of the Travel Handmade QuiltCon prep - take a look! Soft and Stable and Wonder Clips - yes please. I modified the pattern to omit the cargo pockets because I could not stand to cover up those awesome dots. 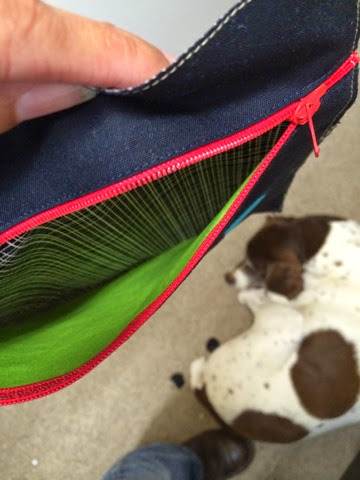 To compensate, I added a side pocket which helps tie in the bright pink. A quick spray baste and a few pins along the oversized panel was really helpful to keep it all in place while channel quilting. 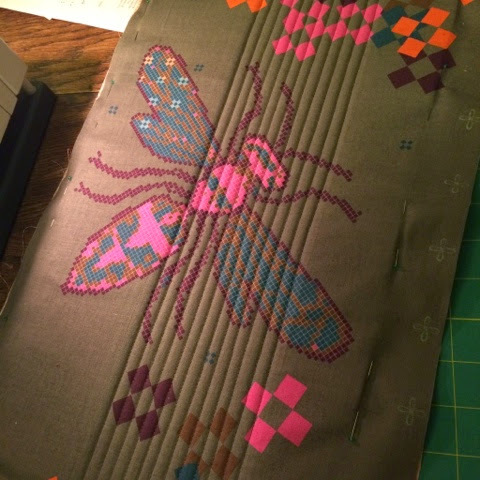 Because I fussy cut the bee without calculating the trim it was a little tricky but worked out. 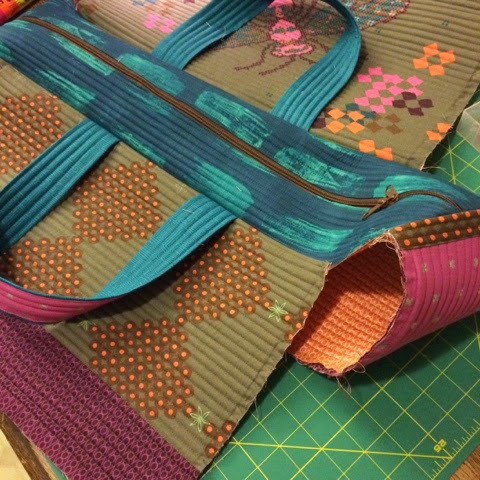 Not only did I finish the February ALYOF goal Slouchy Bags Taylor Made for myself (below) but I am in the home stretch of a Cargo Duffle (above). After seeing that Debbie and Rachel pulled off making theirs in a weekend I decide it was not too late for me! 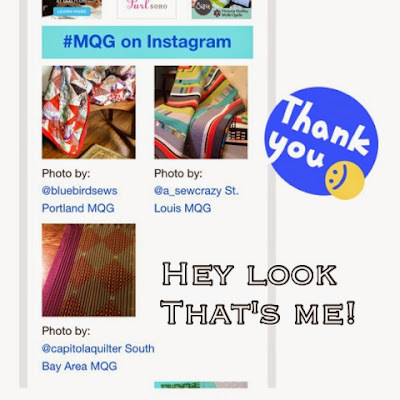 Pressures on now that a pic of the back panel was featured in the MQG newsletter - I'd better get finished and be toting it around in Austin if I wanna hang my head high :) Honestly, the cheering on via IG has been fabulous, thanks guys. 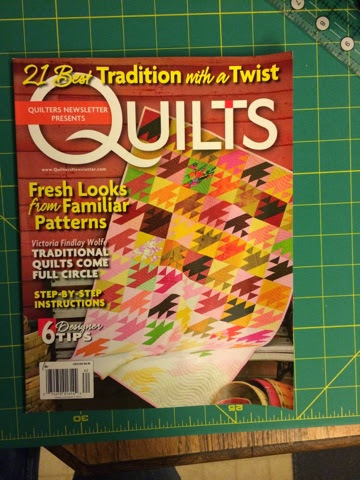 Linking up with Amanda Jean at Finish it Up Friday and TGIFF at Quilt Matters. Here's a Sneak Peaks at a couple of secret gift items that I also started and have finished since my last post. My mojo has officially returned - at least for pockets, zippers and bags in general. 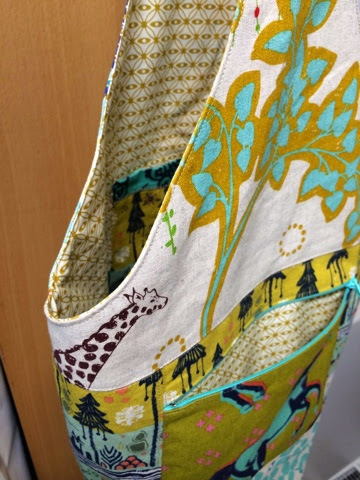 Not a stitch of quilt making but that's OK.
After conquering my fear of zippers with one bag I managed to sew in a second and then install a by the yard double pull. Grant it that last one I goofed on and pre-quilted the gussets so it took most the night to figure a plan B, a minor set back. Let's just say there was fusible web involved and leave it at that. Choosing what fabric goes where is super exciting. Dottie on the other hand was not too thrilled that I took #fridaynightsewalong all the way to Saturday morning and was underfoot hinting it was bedtime. 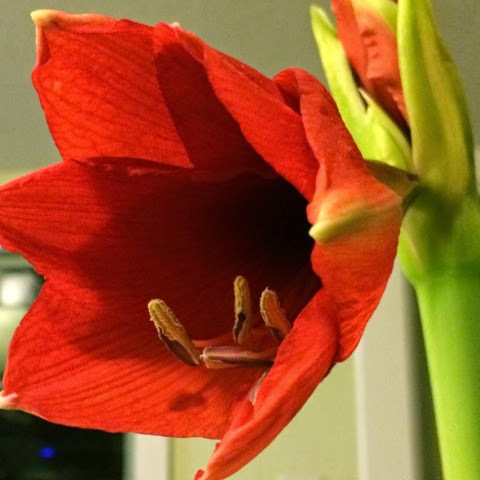 Last but not least I'll share a photo of the beautiful flower from the bulb I received as a Christmas gift that blossomed this week. I'm pretty proud of that accomplishment too. Sewing my stash counts even when it's my precious bits and relatively recent acquisition. I used pinking shears to be safe. Deciding what to put where was fun. 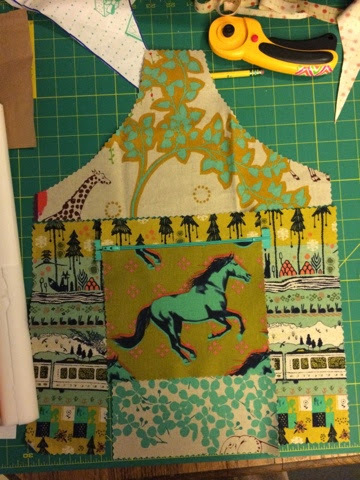 The pocket size needed adjusting to avoid the horse loosing his feet and fortunately the giraffe ducked his head exactly right once sewn in. 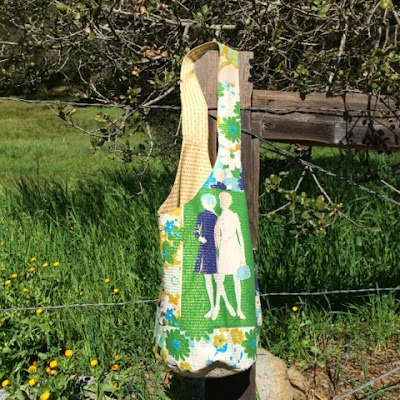 The number of hours this simple bag has taken is laughable. I could have made an entire quilt top! 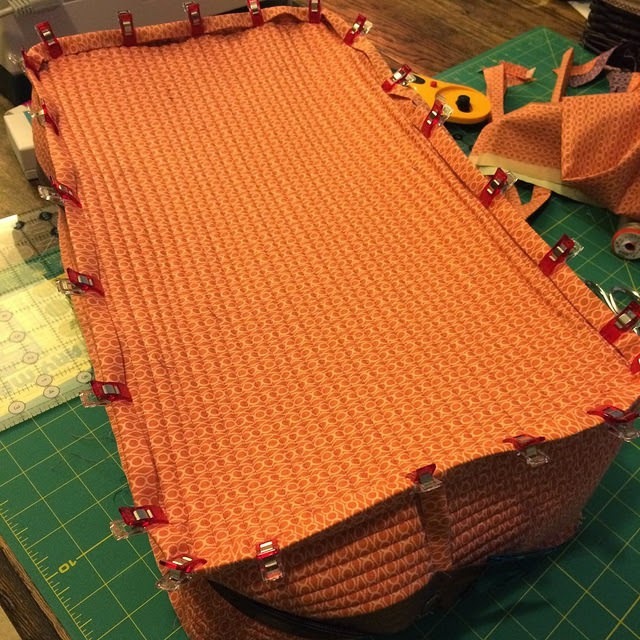 And yet I'm pretty pleased and proud of myself for installing a functioning zipper and nearly completing a travel handmade for Quiltcon in time. 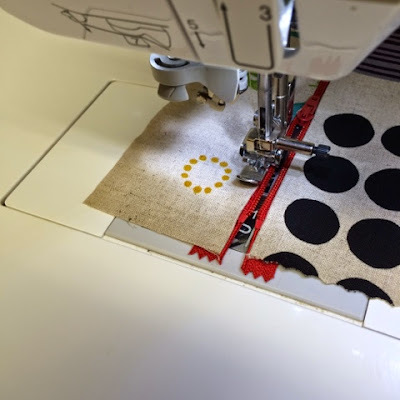 WIP Wednesday link up at Freshly Pieced and claiming this as my February ALYOF goal too. 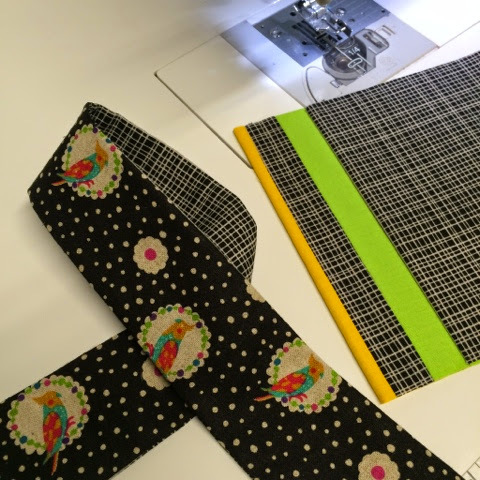 I got to use the amazing handcrafted fabric picked up from the Turtle Hand booth for the pocket trim and lining along with some Houston Mqg Festival meet-up winnings "Grace" too. 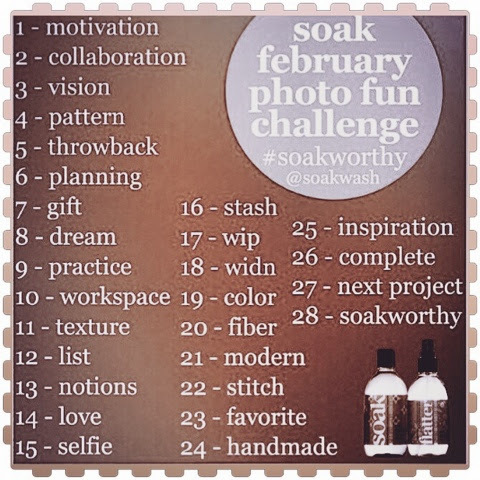 Have you seen the #soakphotochallenge IG feed this month? I enjoyed last time and found some new friends to follow so as of day 3 I'm playing along. 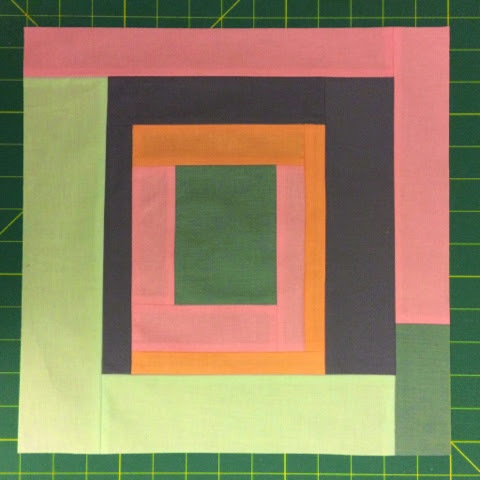 I made this block for Tina and am calling it a finish- yeah! Can't wait to see them all together because as I've mentioned on more than one occasion - collaboration rocks. More Winning - Who, Me? Guess who won again ? Me. Yup. 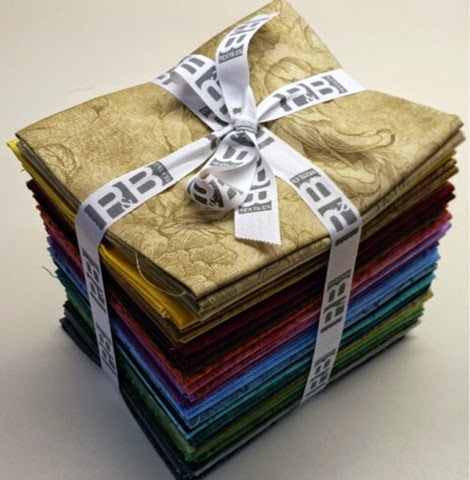 A lovely bundle of Belle Suede by P&B thanks to Quilters Newsletter and the Tradition with A Twist blog hop. Here's hoping that a bit of luck spreads your direction.